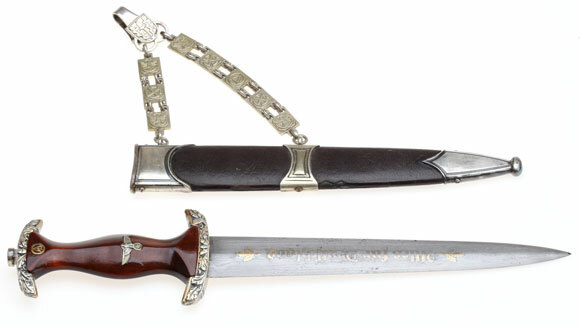 NSKK Huhnlein Damascus Honor Dagger: Maidenhair damascus blade, one side has the gilded motto "Alles Fur Deutschland" between oakleaf sprigs; the other side has the central 30 degree "Huhnlein" signature and the guilded oval "Carl Eickhorn Solingen" squirrel hallmark down by the crossguard; one side of the tang is stamped "Damast," the other side has a stamped "110" bench number. 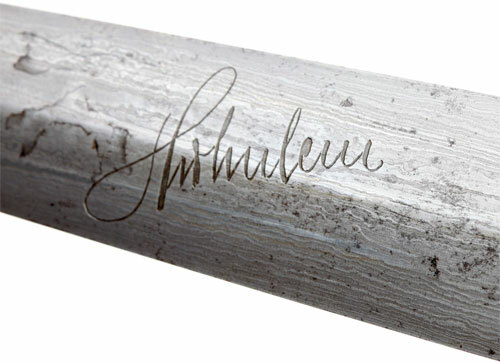 The shellacked oakleaf crossguards are very heavy and appear to be solid silver, total weight 82.0 grams (2.6 troy oz), each one is stamped with a "148" bench number, the inside of each crossguard has oxidized blue after 75 years, the color of silver nitrate! The blade fits perfectly against the lower crossguard. 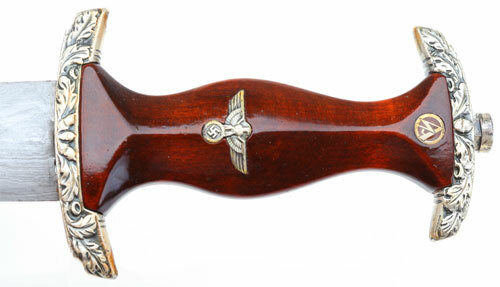 The maroon stained and shellacked wood grip is a perfect fit for its crossguards. The steel scabbard is straight, covered with four fitted pieces of thin dark brown Moroccan leather stained black with traces of a much darker black polish. The leather fits up against but not under the three scabbard fittings. 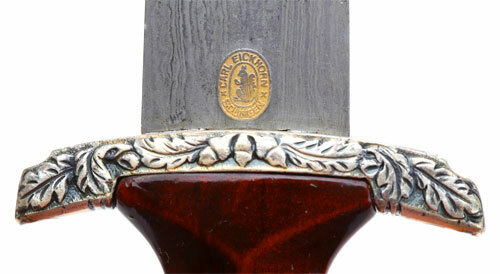 The bottom ridge of the leather has heavy wear where the owners fingers would be to keep the dagger from swinging. One of the back leather pieces has a 3.5 cm tear, probably caused by catching on a car seat or a chair. The center ramp anchoring the chain has the unique, high profile, flared rectangle, only seen on an NSKK High-Leaders dagger. The screw on the center fitting is a plated tomback replacement. The other four are the correct, high-dome, nickel-plated brass screws. The chain is the standard NSKK High Leader type, solid nickel, eight links, and unmarked because it was not controlled by RZM regulations. 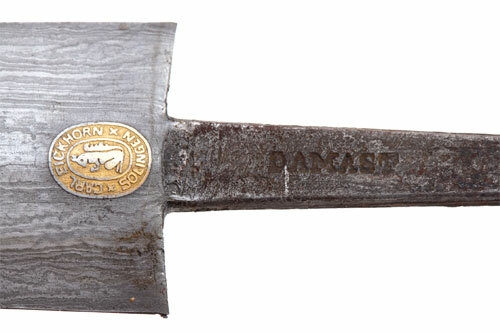 This dagger is considered much rarer than the SA High-Leader Honor dagger. The over-all condition is light to medium wear. 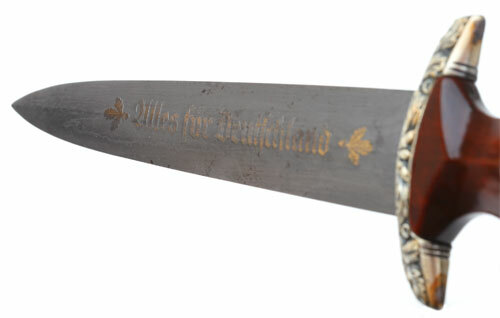 NSKK Blade Motto - "Alles fur Deutschland"